1971 Automated Control Systems (ACS) established under the Institute of Cybernetics of NAS. 1982 ACS Department became a separate legal organization. 1997 Information and Telecommunication Scientific Center (ITSC) organized under ACS Department. 2002 Institute of Information Technology established under ITRC. After gaining the status of the state scientific institution, Azerbaijan National Academy of Sciences, which implements the state science policy, a new era of science development has started. There was a need for the establishment of the institute, which would train a new generation of creative thinking meeting the modern requirements, as well as solve problems, develop innovative projects, and conduct innovate researches on analytical information and web-technology, information security, social networks, biometric identification systems, information resources formation, information and communication technologies (ICT), linguistic, geographic, and socio-information technologies, application problems of the Azerbaijani language in virtual space, informatization of science and education and other issues. In 2002, the Institute of Information Technology was founded under ITRC. In a short period of time, the institute transformed into an organization conducting innovative scientific research on the contemporary problems of ICT. Thus, the studies on actual scientific and theoretical problems of information technology and information society were founded, new research departments and centers opened. The institute is a scientific body, where important projects are implemented, and all the facilities that meet international standards are provided to achieve efficient research results, and to organize higher innovation activity for the organization. The institute implements successful important work towards the implementation of scientific-technical and innovation policy. The main objectives of the institute include organization and development of scientific activities in accordance with the modern requirements with the use of a wide range of ICT opportunities, improving scientific governance, forming national scientific information space, integrating into the international scientific environment, high-level personnel training. About 500 employees, including 4 academicians, 10 doctors of sciences are employed at the institute. At present, 18 departments, the Training Innovation Centre, E-library, Multimedia Centre, and National Research and Education Network AzScienceNet administration are functioning at the institute. The models and methods were developed for the projecting of distributed information processing systems; methods, algorithms and architectural and technological principles were developed for synthesis of distributed virtual computing environments (supercomputers) and clouds in computer networks; methods and algorithms were developed for the synthesis of distributed processing systems of audio-information. The systems of flight data processing and intelligent analysis of new special IT-based objects were developed; the methods and algorithms were developed for diagnosis of flight object devices. The models were developed for the virtualization of communication resources of global computer networks, assessment of their global status, and for the optimization of significance indicators by various criteria; optimization models and algorithms were developed for the optimal structurization of irregularly structurized information space with CDN technology. The methods of content analysis of GIS technology and information space were proposed as a feedback mechanism of e-government management; The models and algorithms were developed for the improvement of quality measures of the systems of information security provisioning and control in e-government, information search and processing, as well as document turnover systems in e-government. Various aspects and approaches were developed for the intelligent analysis of Internet usage and improvement of the quality of Internet search engines, for the detection and analysis of social networks according to various features of online environment, and for ensuring security of web systems; conceptual model and indicators system were proposed for the classification of ccTLD and gTLD domain indicators of web resources, the determination of information relations according to geographic and semantic characteristics, the evaluation and statistics of the volume of information import and export. 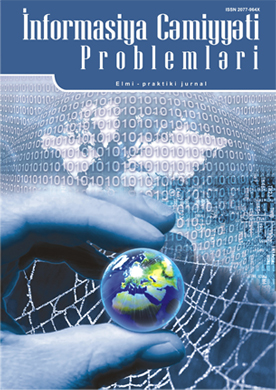 Scientific and theoretical, methodological and architectural basis were developed for the synthesis of adaptive virtual private networks that ensure sustainable information safety in corporate networks; optimal authentication system distributed by value and time indicators was developed for adaptive networks; theoretical game model was proposed for decision making in the fight against the various threats in corporate networks. The models were proposed for the detection of information security threats in computer networks, and for information security risk assessment and control. The methods and algorithms were developed for the detection of information warfare manifestation in the virtual environment; the models and methods were proposed for e-science formation, management and assessment in the republic, and for information security support; numerous conceptual approaches were proposed for the establishment and improvement of AzScienceNet and for adapting its characteristics and quality indicators to European standards; several approaches and methods were developed for the detection and analysis of social networks in e-government, secret protection, process monitoring and assessment, security provisioning, and intelligent analysis of personal data. Crucial achievements were obtained in Scientometrics and Bibliometrics. Available assessment indices of researchers and journals were analyzed critically, and their shortcomings were identified. Several new indices and modifications of available indices were proposed to eliminate these shortcomings. The models, methods, algorithms and protocols were developed for the synthesis of Ad Hoc and sensor networks, and for their quality improvement. Cryptographic methods and algorithms based on the elliptic curves over finite fields were developed for the creation of e-signature infrastructure. Numerous methods and algorithms were developed for the establishment of biometric identification systems and their security assessment, as well as for biometric template protection and the interoperability of biometric sensors. The method of biometric cryptosystems’ synthesis was proposed by the unification of the advantages of biometric technologies and asymmetric cryptographic systems; methods and algorithms were developed for the human face recognition according to photoportraits. 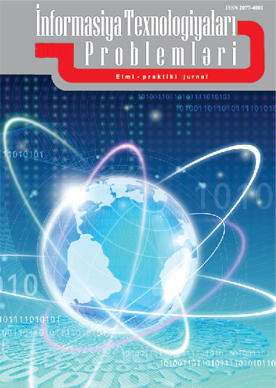 The methods and algorithms were developed for fuzzy relation structured knowledge processing technique; ICT professionals segment in the labor market were analyzed with the fuzzy-logic introduction; functional models of interactive relations and formation principles of supply and demand of ICT professionals were proposed. Fuzzy-logic-based and decision making theory-based methods were developed for intelligent decision support in human resource management in the organizations. Transformation issues of market economy in the information society were studied; the basics of measurement methodology of development rate of ICT and knowledge-based economy were developed; and some proposals were offered to provide security of information economy in Azerbaijan. “Green” economy processes and its development issues were analyzed.